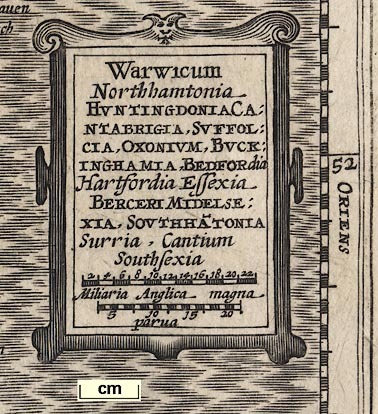 Map, Warwicum Northamptonia Huntingdonia ... etc, part of Angleterre, England, including Hampshire, by Gerhard Mercator 1595; published 1595-1642. Published in part 3 of 'Atlas sive cosmographicae meditationes de fabrica mundi et fabricati figura' 1595. The Atlas was published in 3 parts, 1585, 1590 and 1595; the last posthumously as Mercator died 1594. Jodocus Hondius bought Mercator's plates and, adding plates of his own, published the Atlas from 1606-42 with text in Latin, French, Dutch, German, Flemish, English.